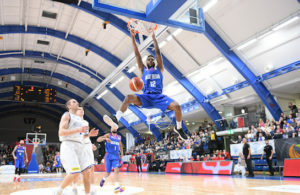 James Worthy still remembers well the last time the Los Angeles Lakers came to Europe. “We almost lost,” he laughs. The setting was Paris. The Lakers, Magic Johnson included, facing Joventut Badalona in the final of the McDonald’s Championship. 13 points down in the fourth, the Spaniards rallied to the brink of an upset. The Lakers held on, just, to win 116-114 in a thrilling finish. The Lakers – and their reputation – survived intact. And on this European trip, they will again be tested by Catalan opponents in the shape of reigning Euroleague champions FC Barcelona. First up, however, is a more familiar foe in the shape of the Minnesota Timberwolves who face the current NBA champions in London on Monday. It is not, hinted Lakers coach Phil Jackson, a detour he would have wished for as he prepares his team for a tilt at a third consecutive title. Ultimately, this is a marketing exercise with the league’s marquee team pushed front and centre. Yet that, claims Worthy, might raise the contest against the T-Wolves above the normal level of pre-season encounters. “It’s taken seriously, especially when you travel abroad because the game is very global now,” he states. “We have European and international players in the league. So for that reason, I think these games will be exciting. The Lakers will debut summer free agent signings Matt Barnes and Steve Blake, as well as a clutch of training camp hopefuls. 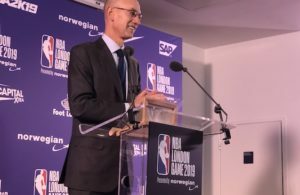 With just two practices in London, plus a clutch of PR appearances including at a special NBA Fan Zone at the National Theatre, it will be tough to install too much. However Worthy is convinced that his former side has been upgraded for their charge at a potential three-peat. “I think this is a team that is better than last year,” he said. “But that’s yet to be seen. If you take the core players in Kobe and Pau. Pau Gasol came back lighter and stronger. Ron Artest came back in great shape. “They have a mission. They want to win three. 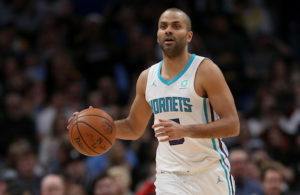 And with the additions of Blake – who can give Derek Fisher a break because he’s a savvy point guard who can make a great contribution – and Barnes who’s a physical player every night, I like what I see. ← Previous Story WIN MORE TICKETS TO EUROPE LIVE!